Located in Orlando, Hyatt Place Orlando Convention Center is in the business district, a 3-minute drive from Orange County Convention Center and 9 minutes from Aquatica. 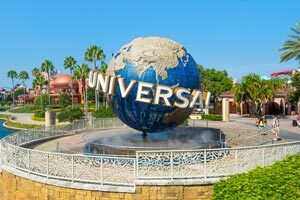 This hotel is 2.6 mi (4.2 km) from Universal Studios Florida™ and 3.1 mi (5 km) from Discovery Cove. Make yourself at home in one of the 150 air-conditioned rooms featuring refrigerators and flat-screen televisions. Your pillowtop bed comes with down comforters and premium bedding, and all rooms are furnished with sofa beds. Premium TV channels and MP3 docking stations are provided for your entertainment, while complimentary wireless Internet access keeps you connected. Bathrooms have designer toiletries and hair dryers. Enjoy a meal at Gallery Market or snacks in the hotel's coffee shop/café. Wrap up your day with a drink at the bar/lounge. Continental breakfasts are available daily for a fee. The preferred airport for Hyatt Place Orlando Convention Center is Orlando, FL (MCO-Orlando Intl. ).